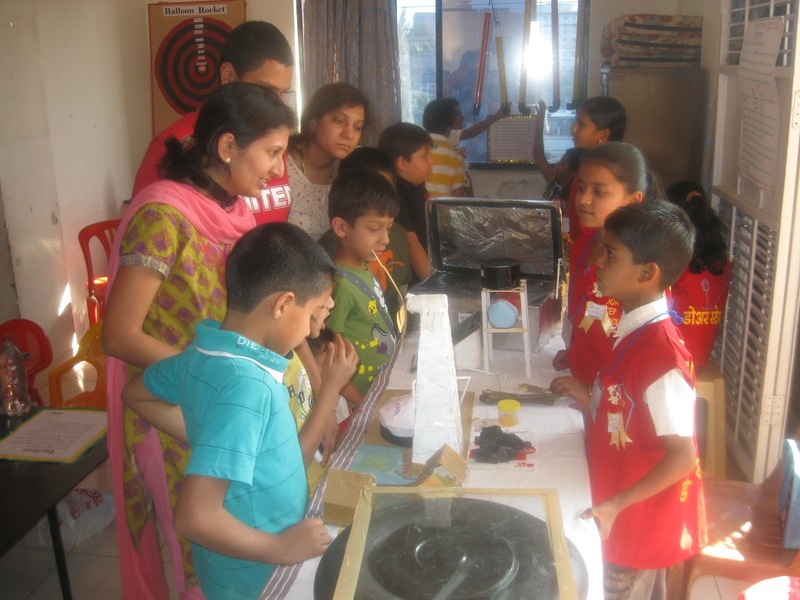 Door Step School children participated in a science exhibition organised by 'Quest" at their Sus road facilities on Feb 26th, 2012 to celebrate Science day. 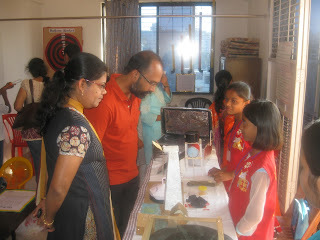 A total of 24 students from various construction sites and from our Community Learning Center participated in the exhibition. 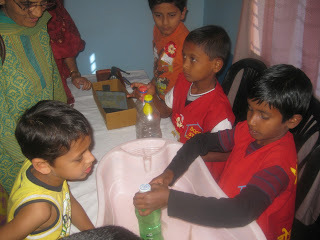 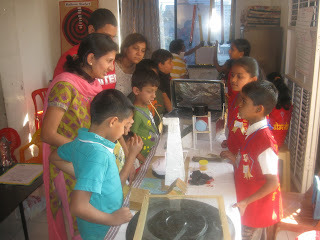 Children demonstrated experiments such as solar powered equipment, effects of air pressure etc. 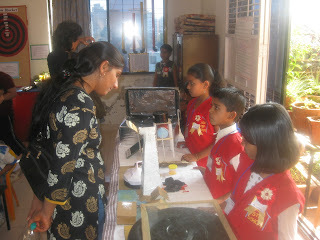 A total of 75 children attend 'Quest" labs every week.